These cookies I created for a bridal shower. They are almond sugar cookies decorated with royal icing using the flooding technique. Others are decorated with cut-outs from fondant and marzipan. 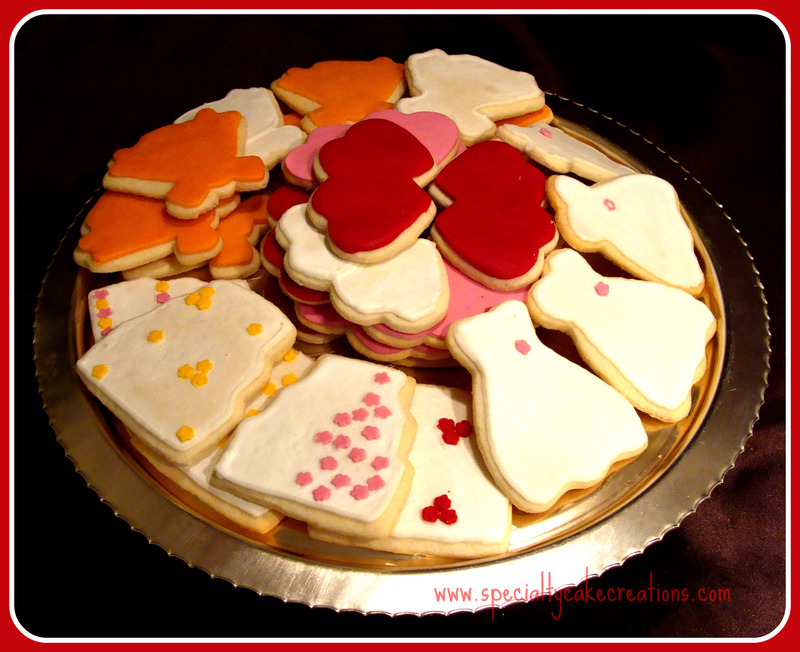 Specialty Cookies can be created for all kinds of celebrations and are a perfect item for a loot bag. See more pictures in the video below. Could I request soft ginger snap cookies with hard icing like your bridal ones shown only 1/2 sugar free and 1/2 regular but for @ 6 technicians/doctors at a hearing aid office? They also put out for patients with coffee. I want to show my appreciation for the special help with my hearing loss. Please let me know the price too. Are u in San Antonio, Texas?